Back in the early 1900’s the horse and cart were more commonly seen on the few (often unmade) roads in the area than were cars and trucks. And the cars that did travel along these unmade roads certainly would have had a rocky ride on road surfaces roughened up no doubt by the horses (& carts). 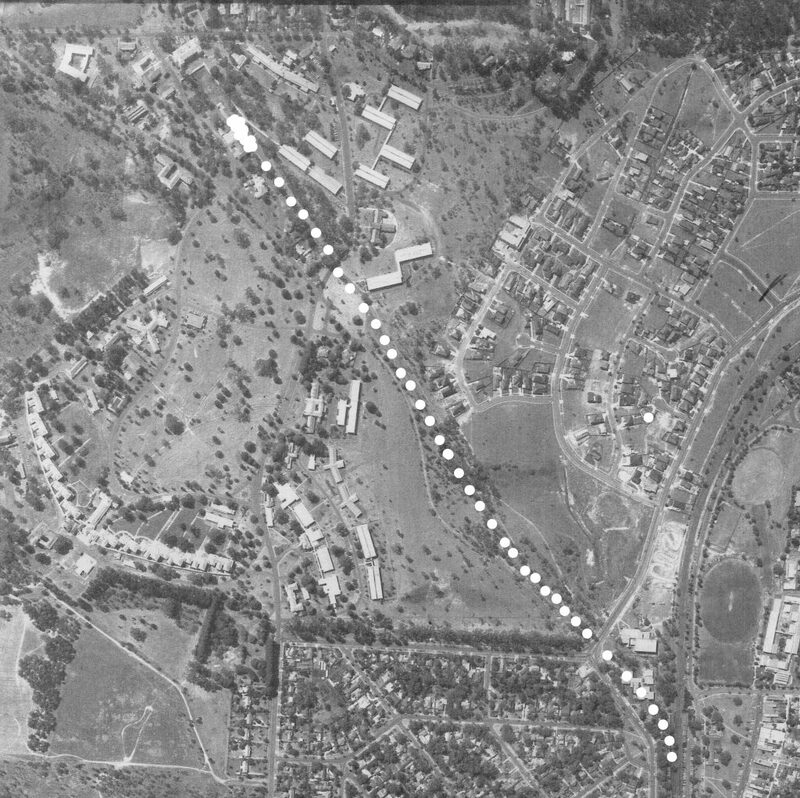 So in about 1909-1910, as arrangements were being put in place by the State Government of Victoria to develop the new ‘Mont Park Hospital for the Insane’ (or Asylum) attention was given to other methods of transportation that would be needed to assist with the extensive construction envisaged for the area. 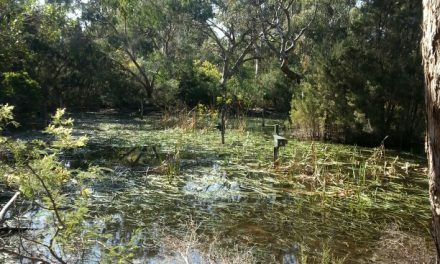 Consideration was given to the use of (Steam) trains on a rail line that could be built and branched off from the existing Eltham line. This branch line could potentially serve to provide the Mont Park area with transport/cartage options for all the necessary building materials for this major project, as well as transport a number of other provisions (such as coal for the Hospital furnaces) that would be necessary for the precinct on an ongoing basis. 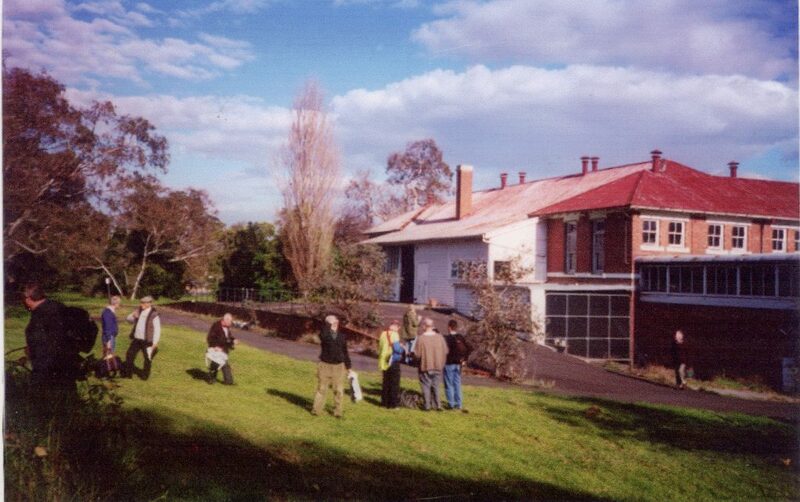 However, a problem existed in terms of access to a 75-acre strip of land that was privately owned by a Mr M. A. Macleod at the time, a strip of land that ran in between where a Mont Park rail platform was envisaged within the Mont Park precinct and where the Eltham rail line ran as it travelled from Rosanna Station to the next station on that line, which at the time was the Greensborough Station. The article goes on to report that Mr Macleod did indeed sell this strip of land, however the sale was agreed to on the proviso that a new rail station was to be built “…about a mile and a half beyond Rosanna…” . 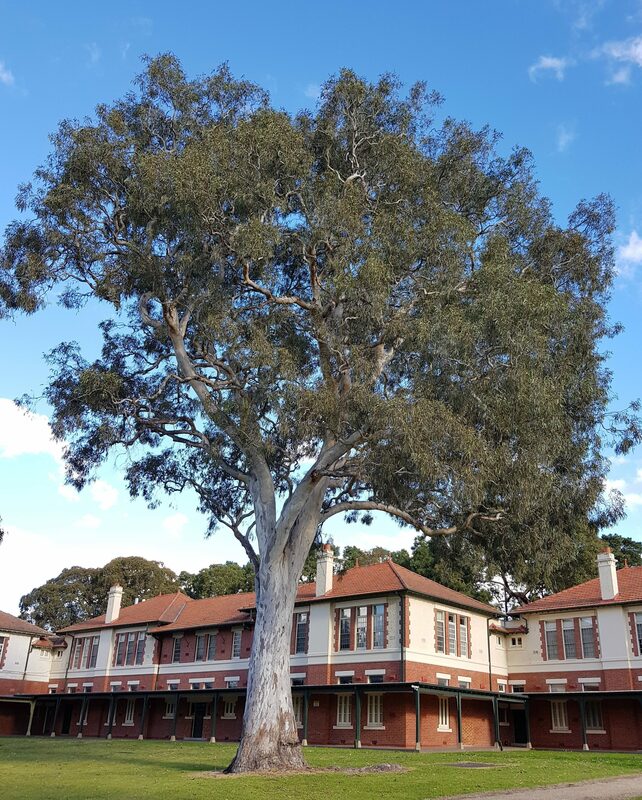 Around this time, as the first bricks were being laid for buildings that in two years time (in 1912) would officially become part of the Mont Park Hospital for the Insane, the Eltham rail line had the following out-bound stations on it after Clifton Hill Station (which was built in 1888). They were, Westgarth (1888) Fairfield (1888) Alphington (1888) Ivanhoe (1888) Heidelberg (1888) Rosanna (1907) Greensborough (1902) and Eltham (1902). 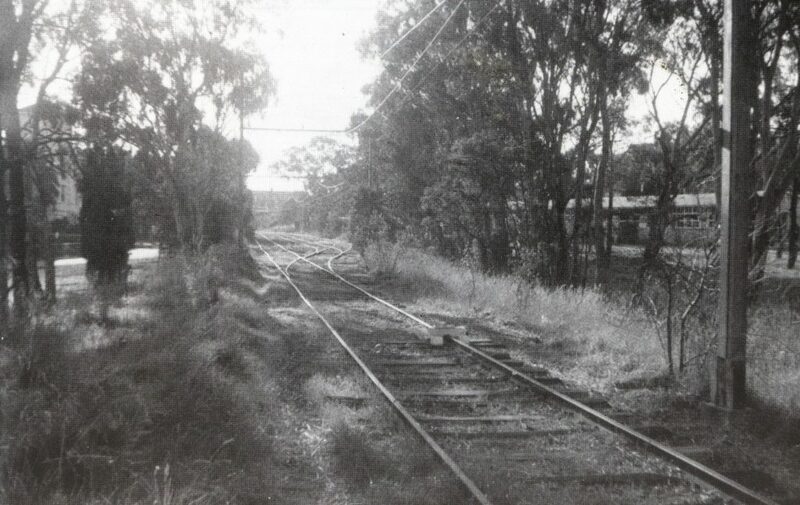 This Mont Park branch line and platform was to be a ‘Goods Only’ line servicing the Mont Park Hospital precinct, and the funding required to build this branch line came from the State Government’s Health Department at the time. Additional rail stations were progressively built/added to the then Eltham Line over the next 15 years out to what would later become known as the ‘Hurst’s Bridge’ station (built in 1912) on the ‘Hurst’s Bridge’ line (with the name changed six months later to ‘Hurstbridge’ ). The Stations that were added to the Hurstbridge line (in chronological order) were Diamond Creek, Wattleglen, and Hurstbridge (all in 1912) then Darebin (in 1922) Montmorency (1923) Dennis (1924) Watsonia (1924) and Eaglemont (1926). The original Macleod Station can be seen in these circa 1920 images (below) sourced from the Alice Elizabeth Broadhurst Photo Collection which refers to the ‘The Last Troops Train from Macleod’. 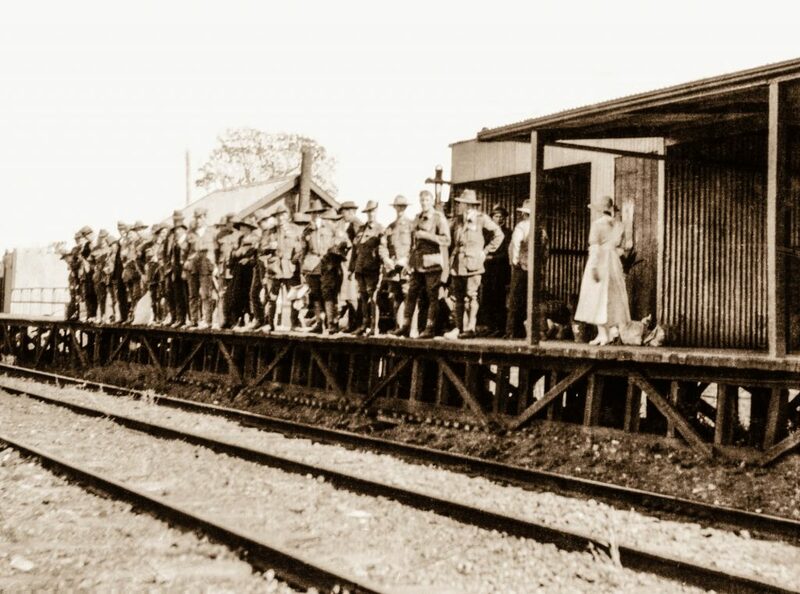 These images show servicemen from World War I who had rehabilitated within the Mont Park precinct waiting for the train at Macleod Station after having spent time across the years 1916-1920 in the 16th Australian General (Military) Hospital at Mont Park. 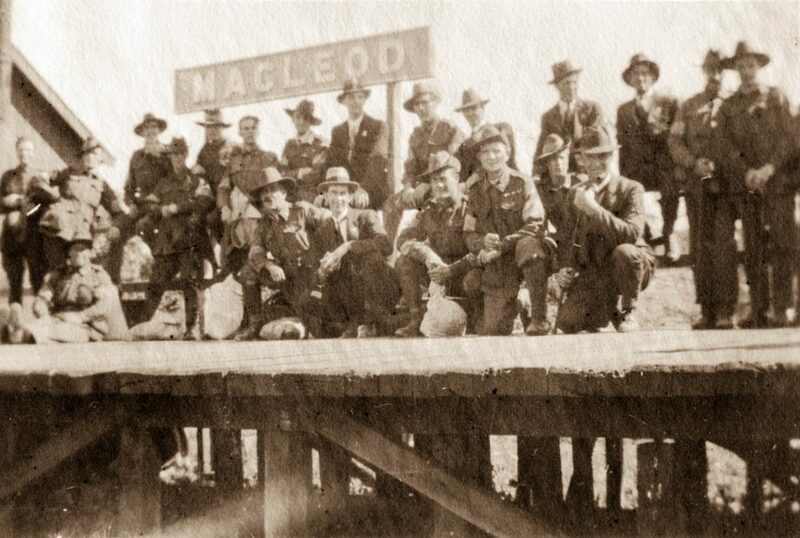 Macleod Station and World War 1 Troops. Circa 1920. Images courtesy of the Alice Elizabeth Broadhurst Collection per the Yarra Plenty Regional Library. 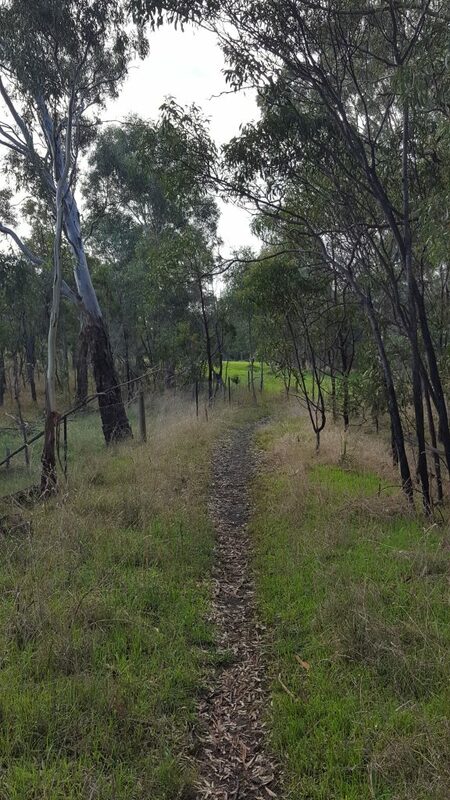 The Mont Park branch line was ‘speed limited’ to 10 miles per hour  due in part to the relatively steep incline that the train needed to traverse to get up the hill from Macleod Station through what today is known as Cherry Street Reserve, then over Springthorpe Boulevard and along the pathway of the Red Gum Reserve to the top of Cascades Park. The approximate path of the Mont Park Branch Line from Macleod Station to the Mont Park Platform. Image courtesy of Joe Carbone. 1981. The last section of the Mont Park branch line as arrowed top left through to the Mont Park Platform also arrowed. In the foreground is the water tank that was built in 1912 by Sir John Monash that sits atop of Gresswell Hill. Image courtesy of the Mental Health Library. Circa 1960’s. As earlier indicated, the Mont Park branch line was a ‘Goods Only’ line that ran intermittently, perhaps once or twice per week on average, with its main purpose in these early years to transport building materials, provisions, and coal up to the Mont Park siding/platform for later storage and/or distribution. In the early 1900’s the coal that was delivered to the Mont Park precinct by train was later transported (via horse & cart) by rehabilitating soldiers down to the coal bunkers in the boiler areas of the Mont Park Hospital precinct (see images below). 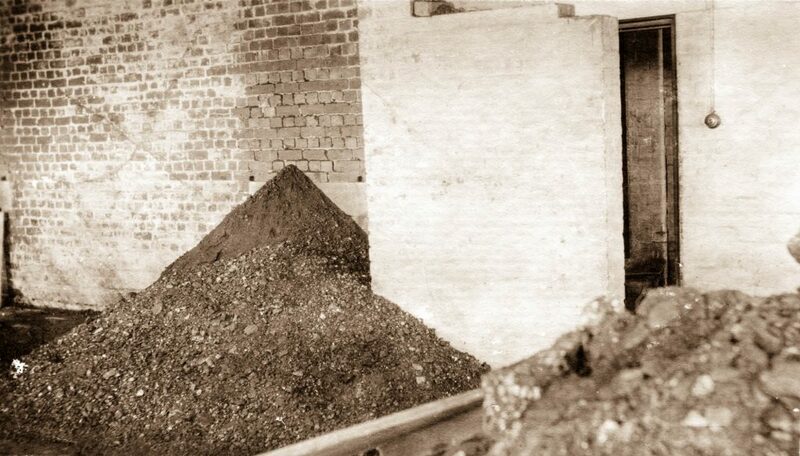 Rehabilitating World War 1 soldiers carting Coal, and the Coal Bunkers. Images circa 1920 courtesy of the Alice Elizabeth Broadhurst Collection per the Yarra Plenty Regional Library. In the mid 1940s various parties asked the State Government to allow the Mont Park branch line to carry passengers, in large part to assist Hospital Staff to more easily travel to Mont Park for work as well as to cater for the 300 or so patient visitors that descended upon the Mont Park Precinct on weekends. However, this opportunity was never realised in a formal sense, perhaps due in part to the impracticalities faced in terms of the scheduling of trains and the somewhat complicated manoeuvers needed at the time to send a train from Macleod Station up the Mont Park branch line. There was also the issue of ticket purchasing and ticket collection procedures that would have seen the need for staff to have ‘manned’ the Mont Park platform for what was a somewhat infrequent operation of the train on the Mont Park line perhaps? The Mont Park Branch Line (looking North) as it splits just prior to the Mont Park Platform. On the left is the now demolished Mont Park Administration Block (built 1912) and to the right is a section of the Plenty Hospital. 1959. 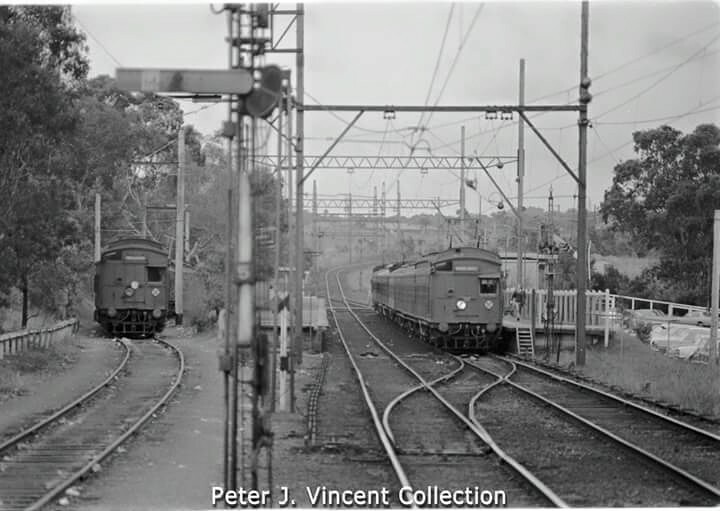 Image courtesy of R.J Newell per The Australian Railway Historical Society. 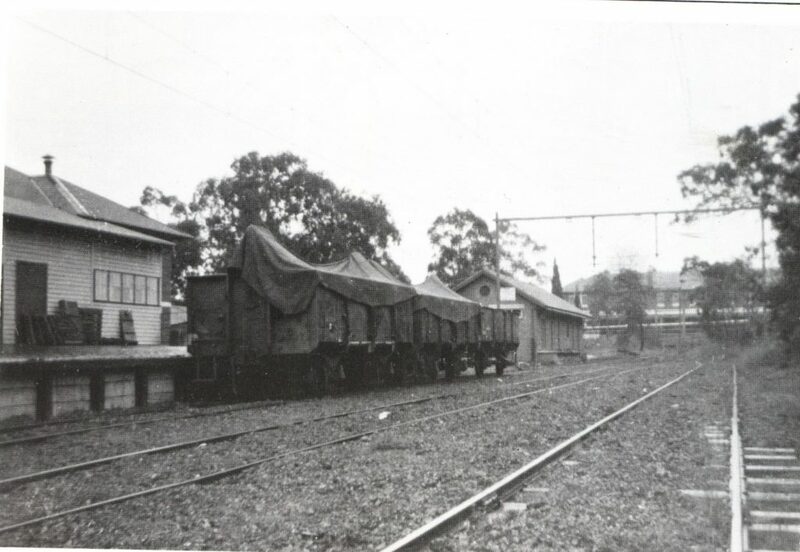 Train carriages at the Mont Park platform, with one of the store rooms visible behind the carriages, and further again behind and to the right is the Laundry Workers Block (built 1913) which is still there today on Ernest Jones Drive. October 1959. Image courtesy of R. J. Nowell per The Australian Railway Historical Society. 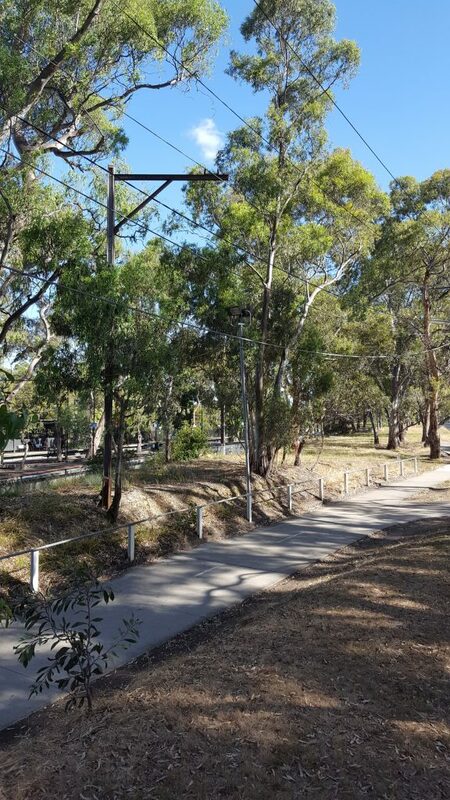 Only a couple of years after the closing of the Mont Park branch line, the La Trobe University was built nearby that could arguably (with the benefit of hindsight) have seen La Trobe students and staff use the branch line to attend the University perhaps? And whilst the Mont Park branch line was dismantled, remnants of a day gone by remain along where the track once lay. In fact, it can be a fun and somewhat fascinating wander up and down the path of the old rail line spotting numerous remnants (at last count at least 8 or 9 of them) of where the Mont Park train once ran. 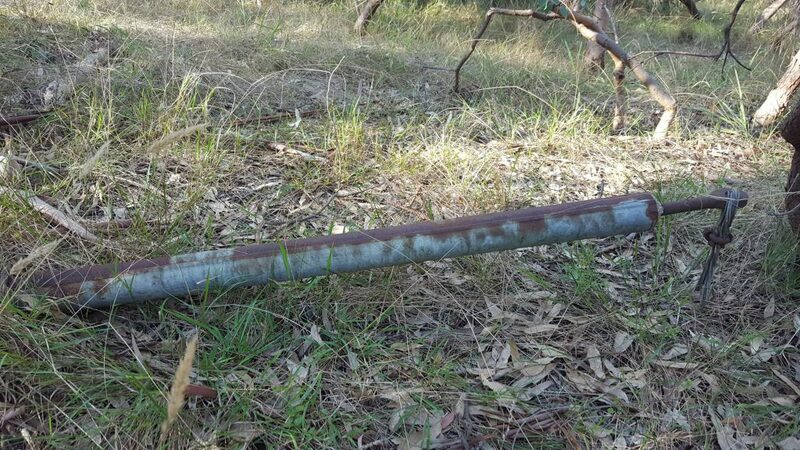 Here are just a few examples (see pictured) of remnants that remain along what was the first half of the trains journey ‘up the hill’ from Macleod Station through the Cherry Street Reserve that are still there to this day. Images courtesy of Gary Cotchin (2017). The Mont Park Platform and Store, as seen in the earlier image below, and as evidenced in the ‘Then and Now’ Section (http://www.montparktospringthorpe.com/then-now-gallery/) of this website (which I would suggest is well worth a look) remained in place whilst various interested parties contemplated its future use and/or purpose. The Mont Park platform circa 1990’s. Image courtesy of Joe and Joy Carbone. After much debate in 2000 and 2001, and after various submissions for and against the retention of the former Mont Park Platform and Store, it was decided that the two structures were to be demolished to make way for public open space within the envisaged Springthorpe Housing Estate. 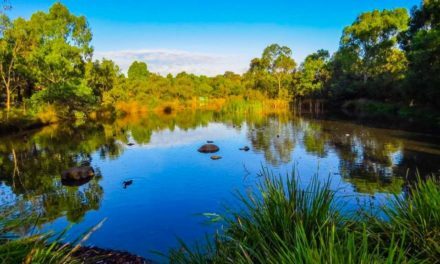 This would include a water feature and lake (‘The Cascades’) two parks (the Ernest Jones and Red Gum Reserves) and a path/walkway that follows the path of the train & track from the Cherry Street Reserve up to the former location of the Mont Park Platform and Store. = McLaren. B & The Australian Railway Historical Society (Vic. Div.) ‘Historical Notes on the Macleod to Mont Park Railway’. 2001. = Planning Permit Application – ‘Demolition of Building within a Heritage Overlay’. Urban Pacific Ltd.
PreviousMont Park to Springthorpe ….. from Hospital Grounds to a Housing Estate. NextHow we got to Now (a chronology of local and nearby events throughout the centuries).